As we were identifying our bridge, we think that it is an arch bridge. We know because there is four arches supporting the deck. When we were deciding what shapes the engineers used on the bridge, the only shapes that we can find were the arch like shapes. They are useful because arch can hold a lot of weight. This bridge was Finnish in 1793 and its height is 322 feet tall! 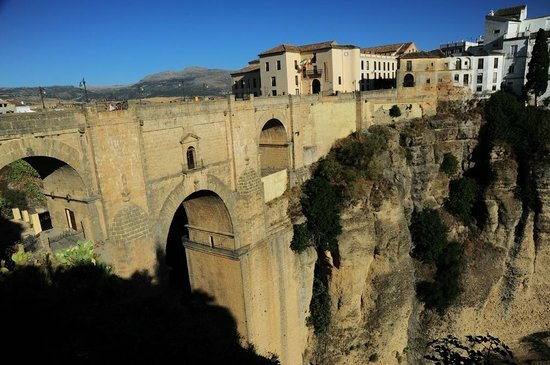 It also crosses Guadalevin river, wihch leads to a waterfall under it!